In order to get our kids thinking about conservation this spring, we will combine some of our sensory lessons with conservation awareness. The activities/lesson plan suggestions below will offer opportunities for hands-on play with the senses of Sight and Sound. Through play and experimentation, the children will gain an awareness of conservation and how their own senses provide important information about the world they live in. In order for children to explore the senses of Sight and Sound, they must be able to locate the two body parts that provide sensory information: the EARS and EYES. Circle time: Pass a hand mirror around the circle of children. Invite the children to look for their own eyes and ears in the mirror. Note: hand held mirrors are durable, but supervision is necessary with young children. The children can also partner with peers and use magnifying glasses for discoveries (the children will think it’s funny to look at each other through magnifying glasses, but they are gaining important information about themselves and others). Riddle and Chant: After passing the mirrors around the circle, introduce the following riddles to the children. 1. When I looked in the mirror, I spied two things – one on each side of my nose; they help me see all things! (What are they? – EYES). 2. When I looked in the mirror, I spied two things – one on each side of my face, they help me hear all things! (What are they? – EARS). Discuss the word UPCYCLE with the children – when we upcycle, we use materials that would otherwise be thrown away to make something new and useful. Brainstorm with the children items that are often thrown away as trash, but might have another purpose if upcycled and re-used. Some suggestions might include: juice cans might become pencil holders, plastic bottles can be upcycled into rain gauges, juice boxes make great play cameras, or bubble wrap can be made into a great painting tool. In the activity below, the children will create binoculars from upcycled cardboard tubes. 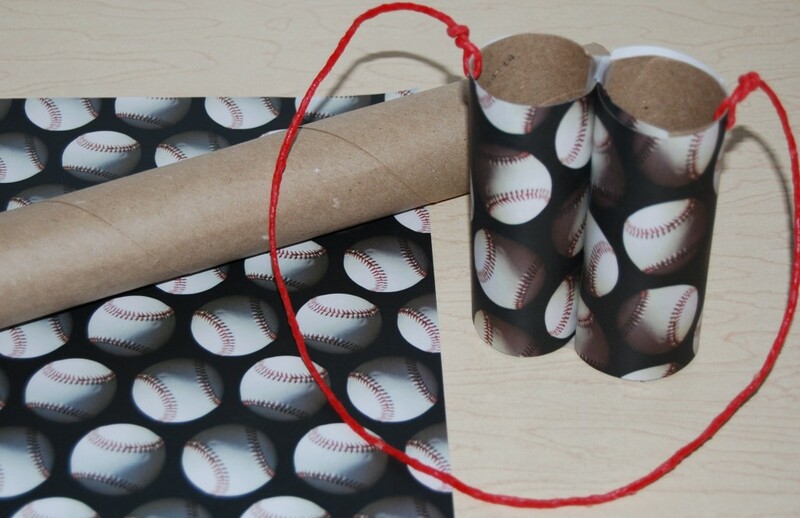 Parents are often willing to save cardboard tubes and send them to class for the activity below. Materials needed: Two cardboard tubes per student (or one paper towel roll cut into thirds), any decorating materials desired (suggestions: markers, crayons, scrap paper, tissue paper, construction paper, or paint), glue sticks or poster putty (to adhere items), hole punch, tape (to hold the two cardboard tubes together), and a piece of string, Super Wikki Stix, or yarn for the “strap” of the binoculars. Invite the children to create by assembling all supplies necessary on a table or at a center. Have the children decorate two cardboard tubes in any manner desired. The two decorated tubes should be taped together in the center. Hole punch the outside of each tube and thread a piece of string or yarn through the holes (to resemble the strap of the binoculars) and tie the ends to the holes (younger children will require assistance in tying the string). If the weather permits, take the children outside on a scavenger hunt with their binoculars to look for discarded items that might be re-purposed. The children might also play “I-SPY” with their binoculars for other items commonly found on a nature walk. Kids that are encouraged to participate and play in nature will often develop a sense of responsibility toward the environment. What can your children find with their upcycled binoculars? Ask the children to remember some of the items they see with their binoculars while on the walk outside. Print the Nature Walk Items sheet (linked above) and have the children use crayons or markers to circle the items they found with their binoculars. *Note – the second page of the recording sheet file is intentionally left blank. Brainstorm items that the children might find on the nature walk that could be upcycled (ex: papers, plastics, Styrofoam, sticks, grocery bags, cans, etc.). Have the children cut pictures of items that can be re-purposed out of old magazines to glue in each of the blank squares. Take a walk outside with the created binoculars to see how many of the items the children can find. Children that are taught early to recycle, upcycle, and re-purpose items gain an awareness of the importance of conserving materials and resources. “plants the seeds” for discussions on hearing conservation. 1. To invite the children to LISTEN, say the following: “Close your eyes and open your ears, listen carefully to the sounds you can hear!” Some of the children will want to make sounds instead of listening. Remind the children that the goal is to listen for sounds coming from the environment, not the sounds they can make. It takes a little practice, but the children will love playing this game. After a few seconds of listening, have the children open their eyes and share what sounds they heard. The listening game can be played indoors or outside (weather permitting). 2. Many young children are not aware of how their own voices sound. Use a digital voice recorder or video the children saying a few words one by one. Play the sounds back for the children and ask if the children can identify WHO is talking just by hearing the voices. Can the children identify their OWN voice? 3. 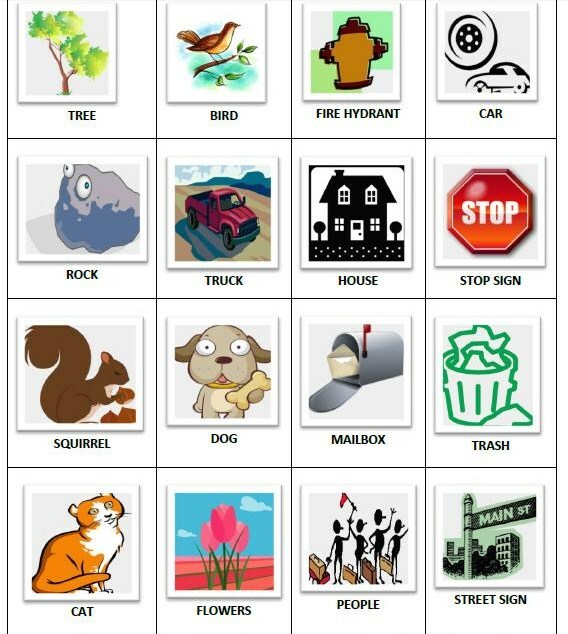 Brainstorm with the children places where LOUD voices would be appropriate or where SOFTER voices should be used. Chart the answers the children give and add to the list as they think of more ideas. Materials needed: Cardboard tubes, waxed paper (cut into squares to seal the ends of the tubes), rubber bands, and assorted manipulatives (examples: beans, rice, Unifix cubes, small bells, small seashells, paper clips, or pony beads). Note: when making sound shakers with children who still put objects in their mouths, supervise closely. Small manipulatives can be a choking hazard. Place waxed paper over one end of several cardboard tubes and adhere with rubber bands. Have the children fill the tubes with each of the chosen items. When filled, close the cardboard tube by placing waxed paper and a rubber band over the open end. 1. 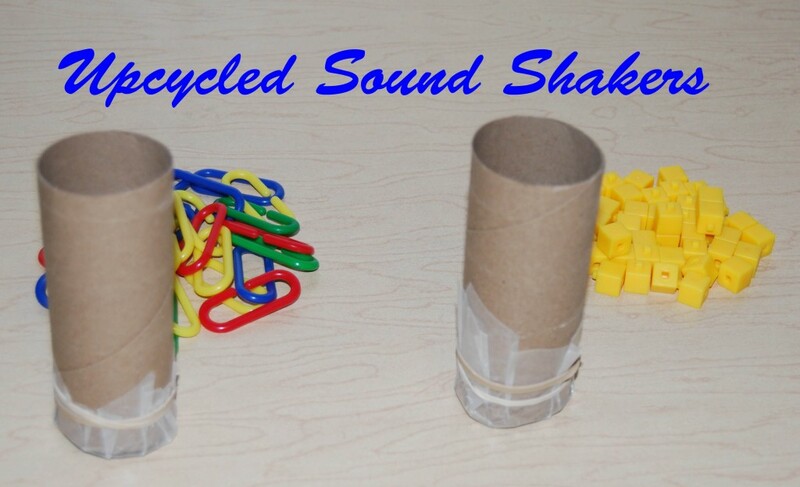 Begin with just two of the cardboard tube sound shakers. Have the children shake one of the tubes and try to determine what item is placed inside the tube using only their sense of hearing. 2. One at a time, invite the children to shake the tubes to determine which tube makes the LOUDEST or SOFTEST sound. 3. Make similar tubes and have the children try to locate the matching pairs of tubes by listening to the sounds of the tubes. 4. Ask the children to order the tubes from the softest to the loudest sound. Come together after exploring the sound tubes for discussions: Which of the sound tubes are more pleasant to hear than the others? Do the louder sound tubes bother any of the children? Remind the children that very loud sounds can damage the sense of hearing. Some sounds, when heard repeatedly, can create stress or anxiety in adults, animals, and children. By offering opportunities to gain an awareness of conservation through sensory explorations and play, teachers and parents can help “plant the seeds” of environmental care and responsibility in our youngest children.